Read our 2015 summary report here, which includes responses from 1,449 people across 20 different local Minds. Mind is the UK’s best known mental health charity, with local associations providing support and services all over the country. Between April and June 2014, the McPin Foundation supported local Minds to evaluate the work they did by gathering feedback from the people who accessed their services and support (read our summary describing the methods used in the 2014 evaluation here, where we look at the role of Mind Champions, supporting data collection, analysis and dissemination). We repeated this in 2015, and from April to September we worked with 20 local Minds across England and Wales to again gain feedback from people using their services. How far are they recovery-focused? How far are they person-centred? How far do they provide a culturally sensitive service to meet the needs of everyone, including those from minority groups? How far do the services provide opportunities for their users to? The McPin Foundation developed in 2014 a short survey asking about people’s experiences of their local Minds. The survey was used again in 2015, with minor adaptions, and was available for people to complete on paper or online. We worked with 25 local Survey Champions across the 20 participating local Minds. These Champions were people who used the local Mind supports. They were vital for delivering the survey, working in their local Minds to explain to people what the survey was about, offering support where needed and helping to encourage the smooth running of the survey. We aim to look at what kind of impact this has on the Mind Champions taking part. 4. What stage are we at with the project? We have completed all data collection, written local reports for each local Mind taking part, submitted a final report to national Mind and have sent participant summaries to local Minds to distribute to those who completed a survey. Our findings from 2015, which we reported to Mind and to each of the participating local Minds were that 1,449 people completed our survey from 20 different local minds. Our findings showed that in general, people were very happy with the type and quality of the support they received with 85% saying they would recommend their local Mind to friends and family. The most commonly accessed services were information and advice, group activities and drop ins. However, people also gave some specific suggestions for how they would like to improve their local Minds including introducing a wider range of activities. 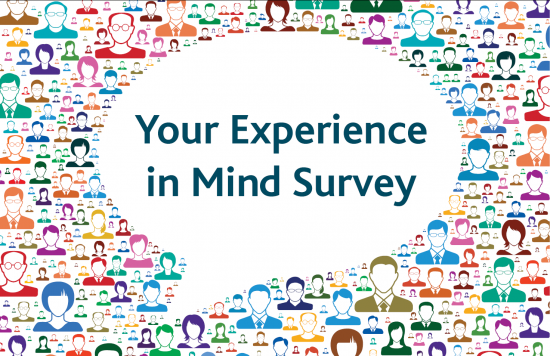 Madeline Musgrove from Mind wrote a blog on how Mind used the survey to improve local services.